I decided to take the long, scenic way to Lake Tahoe along U.S. 395. As I took off from Pacific Beach in San Diego, the foggy marine layer was thick. About 20 minutes into the 10 hour drive, I remembered how I hated traffic and was already asking myself ‘am I there yet’. Not until I got past San Bernardino did I remember how awesome a good road trip could be. I was seeing a part of the country I had never seen before! As the cities gave way to incredible natural landscape, I opened the sunroof, turned up the music and enjoyed the scenery. Adelanto is where it really started to get interesting, passing small town after small town. One town with 100 people made me realize I’ve lived in apartment buildings with more than 100 residents. I saw an isolated house in the middle of barren land and wondered who they were and why they chose such a secluded lifestyle. What were their lives like? In my job, I often do ethnographies, interviewing people in their homes. How interesting it would be to talk with this family. I drove through a large stretch of desert with the Mojave Desert to my right. Dusty brown landscape as far as the eye could see, dotted with Joshua Trees. Then the desert gave way to the mountains, and the Eastern Sierras were to my left, passing the edge of Yosemite and Mammoth Mountains. 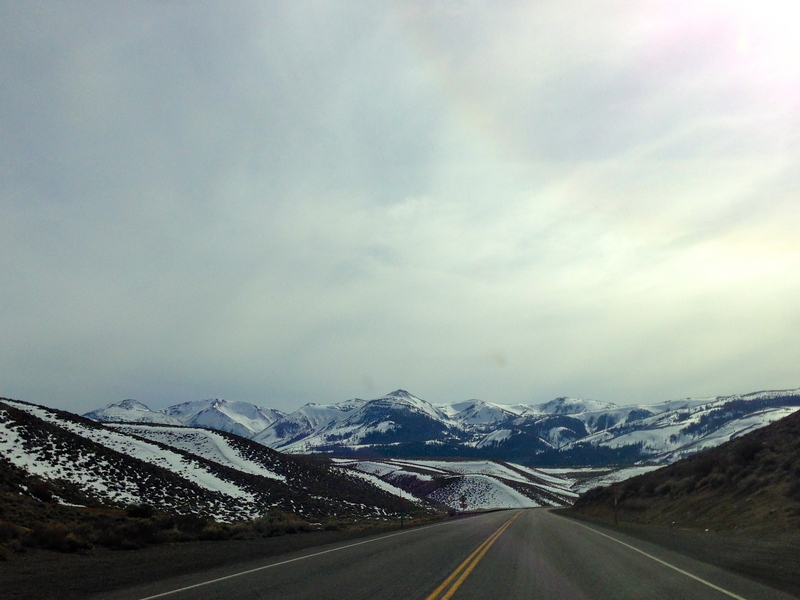 Snow capped mountaintops, rushing mountain springs, twisting roads. Driving those winding mountain roads gave me a new appreciation for German engineering. Maybe Audi would let me become a road test driver?? 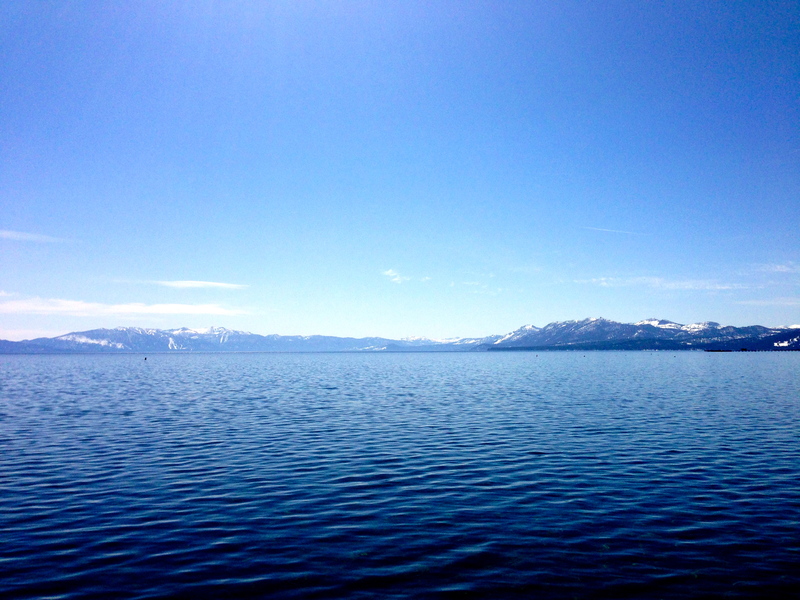 I finally arrived in beautiful Tahoe, my new home for two weeks, taking in the stunning views of the lake and mountains. After having breakfast at the beach, lunch in the desert and dinner in the mountains, I am excited about all the fun adventures my nomadic lifestyle will bring in the future. This is only the beginning. Michele, sounds like you are having the time of your life. Enjoy, enjoy, enjoy!!! Enjoy yourself, be safe and what beautiful pictures!